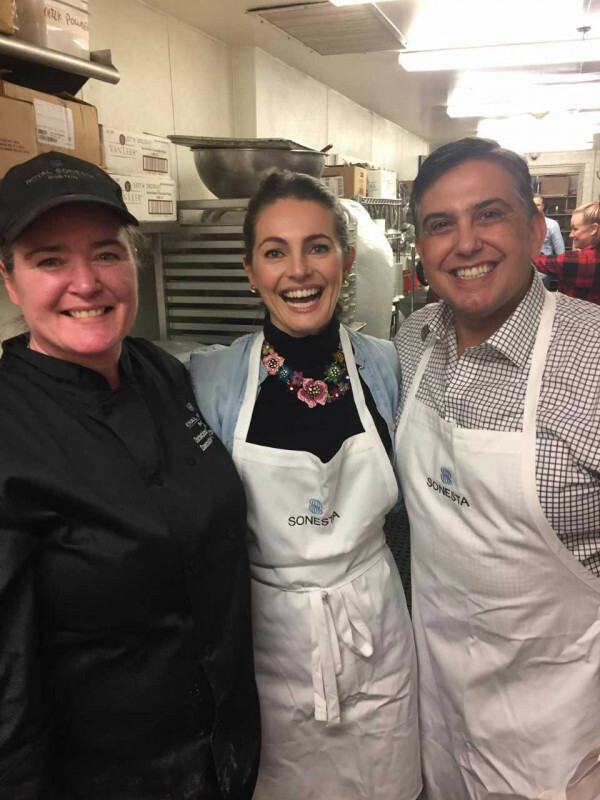 Check out photos of the November 19, 2017, event at Royal Sonesta Boston. 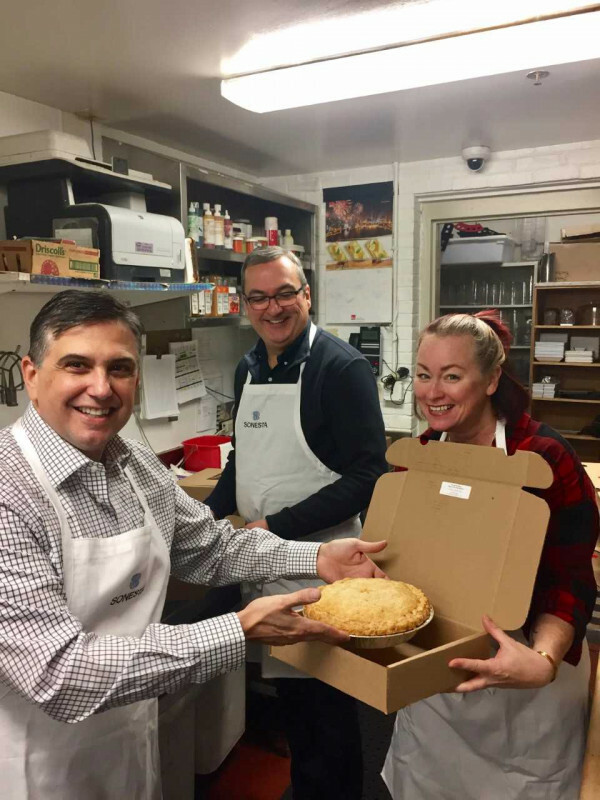 By Julia Kacmarek·	 12/5/2017, 2:05 p.m.
Michael Medeiros, General Manager of Royal Sonesta Boston and Christina Allen-Flores, Executive Pastry Chef of Royal Sonesta Boston, hosted a Thanksgiving Pie Baking & Boxing Event to benefit Community Servings Pie In The Sky on Sunday, November 19, 2017. 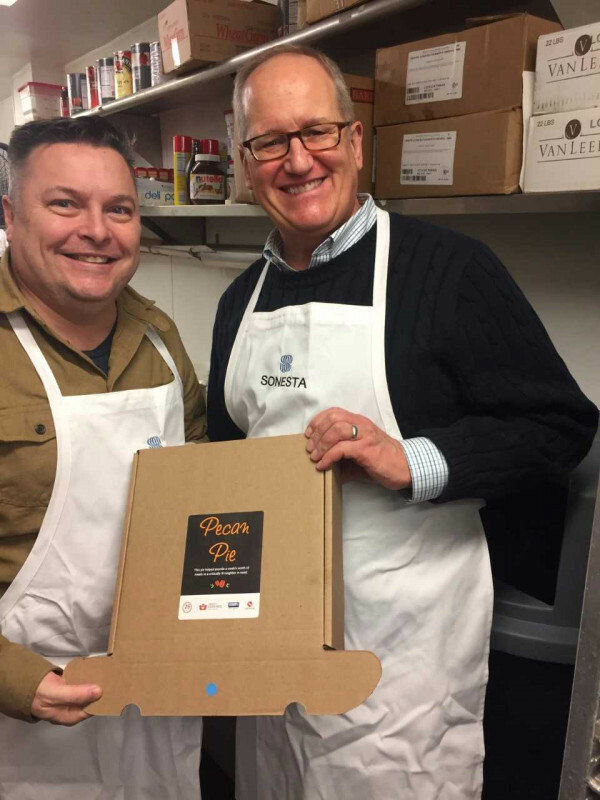 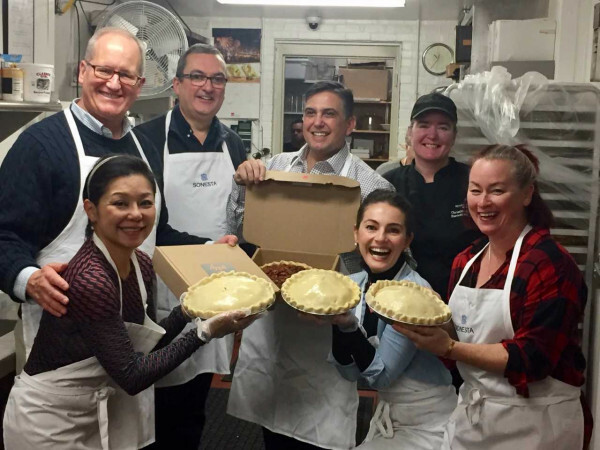 Community leaders gathered in Royal Sonesta Boston’s pastry kitchen and rolled pie crust, filled pies, learned the art of crimping the crust, and baked and boxed dozens of pies to donate to Community Servings Pie in the Sky Thanksgiving fundraiser.